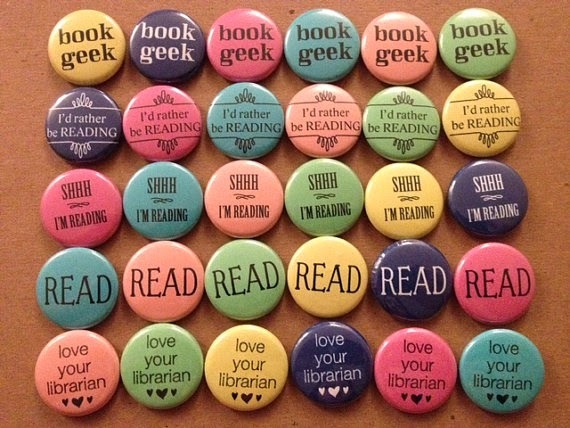 With all the YA Reading Bingo posts I've been writing nowadays, I figured that my next Geeks Run The World! post should be centered around others that love reading just as I do. Whether you express your love for a specific author, a specific book, or all titles under the sun, your dedication to reading and a love for words has not gone amiss. I've been a fan of The Lizzie Bennet Diaries since pretty early into the show, maybe around episode 20 or so. While getting to watch two of these episodes a week, or more in the case of Lydia, Maria & Gigi's videos, I was also there to observe the blooming of various fan groups dedicated to this series. The main group on Facebook that caught my eye was Socially Awkward Darcy, originally because the picture of Darcy in the bow tie and hat is hysterical, but later because of their content and love for the series. 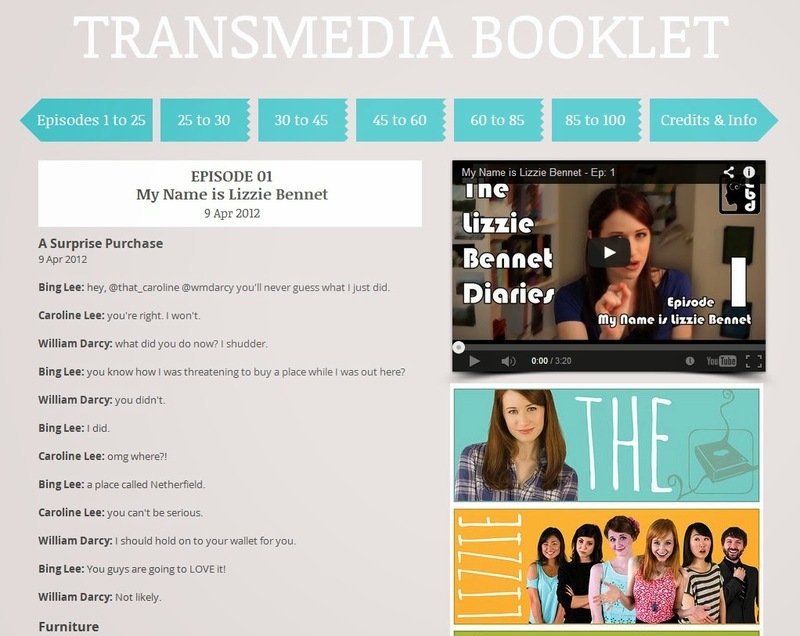 The Facebook page itself is always posting amusing and touching content related to Jane Austen or the LBD series at large, but their main site is the perfect hub for those who want to know anything and everything about the series with the Transmedia Booklet they've put together. It's available on the site, as well as made as a downloadable PDF which contains the episodes themselves as well as all the social media content surrounding the videos. Anybody that wants to be submerged in the series that wasn't around while the episodes were still airing only has to go to one place, thanks to the people behind Socially Awkward Darcy. The same people that manage Socially Awkward Darcy also manage two other Facebook groups. The next one to arise was Knightly Disapproved, with the tagline "Badly done, Emma! ", which entertained me greatly :) This series' sole dedication is to the currently running YouTube series Emma Approved, which is on hiatus until the beginning of June. The second channel, Book to Tube, is dedicated to a wide array of web series that are based off of classic literary works. Some of these series include The Autobiography of Jane Eyre, Classic Alice and my new favorite web series, The New Adventures of Peter & Wendy. The content that this group provides, not just on Facebook but on Tumblr and their own websites, is always enjoyable. 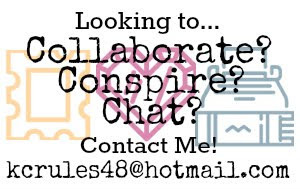 For those who love these web series, or even those that have read the books the series are based off of and need a bit of help immersing themselves into the media-enriched world, these guys will give you a hand no problem! #2: The Team Behind Drunk Austen on Facebook, Twitter & WordPress. I can't stress enough just how hilarious I find the admins behind this Facebook group, Twitter page and WordPress blog. When I first found this Facebook group, the main focus was them trying to get other people to post videos where they would read passages from Jane Austen while drunk. It's actually really fun XD I know this because I posted my own Drunk Austen video last year. If you're curious about it, you can find the video here. Now they're all over twitter, constantly back and forth with the people behind The New Adventures of Peter & Wendy, as well as Classic Alice. I've even messaged these ladies personally, so I can say from first-hand experience that these two admins are fantastic ladies that are dedicated to one of the greatest female authors of all time. They're consistently posting memes related to Jane Austen's works, or drinking in general, that have me laughing. If I remember correctly, on April 1st 2014 one of the admins was drunk and ended up posting a lot of photos tagged as Sober Hemingway. It was rather humorous. 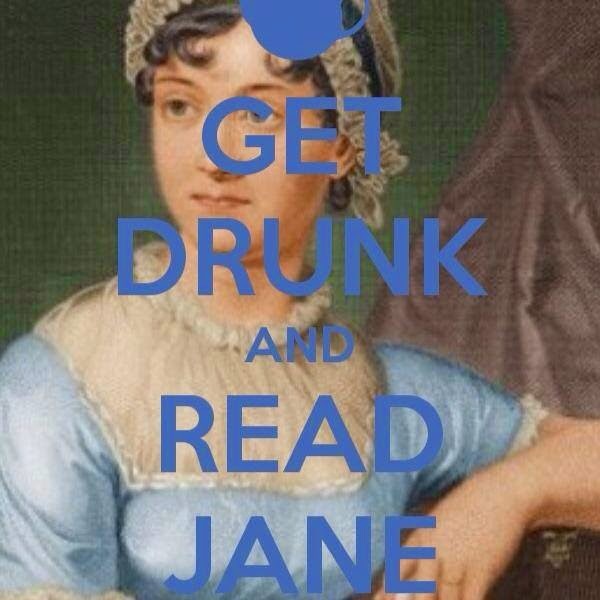 Since the Facebook group has been founded, Drunk Austen has expanded across the internet. I was around for when they first got their Twitter up-and-running, and I'm proud to say that I was one of their first followers. These guys have achieved a lot. One of these great achievements is that Drunk Austen was chosen to host the official Classic Alice book club, which is happening right now. The current book is Little Women, which I'm reading right now, although I'm still very much behind the rest of the club XP Drunk Austen was also given an advanced copy of The Secret Diary of Lizzie Bennet, and have reviewed it on their WordPress blog, which you can find here. That's one book I know I'll be reading sometime in the future. I should actually get around to pre-ordering my copy, now that I think about it . . . Anyway, off topic! To sum up, both of these Facebook groups are amazing, and they are ones you should like immediately. The people behind these strong groups, fully immersed in their respective fandoms, are great people who post hilarious, original content, and are always working hard for the fans, the ones who love to watch web series and the ones who love to read and the ones who fall into both spectrums. The content provided by these people inspire me on a regular basis, both as a geek girl and as a reader.